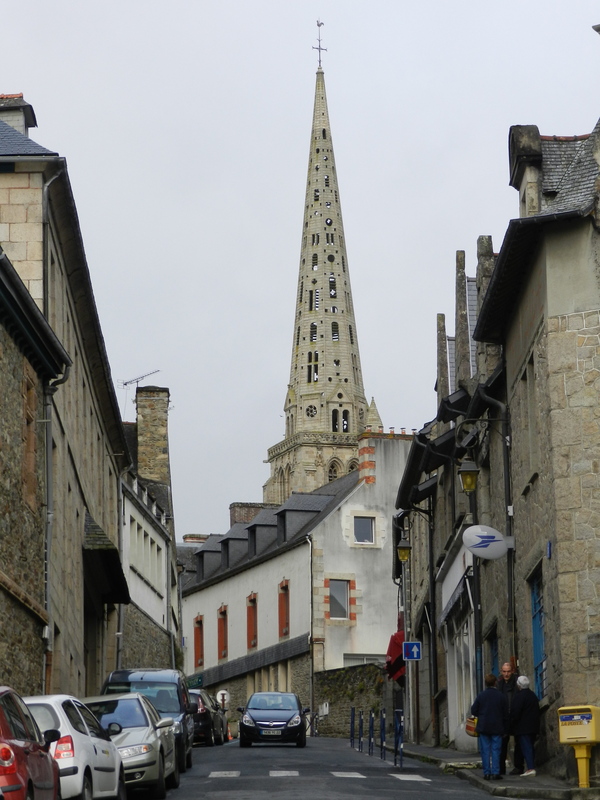 Treguier is a medieval town with a stunning cathedral that celebrates St Yves, the patron saint of lawyers and the poor – an interesting mix! The town itself is quite quaint but very quiet in mid May. 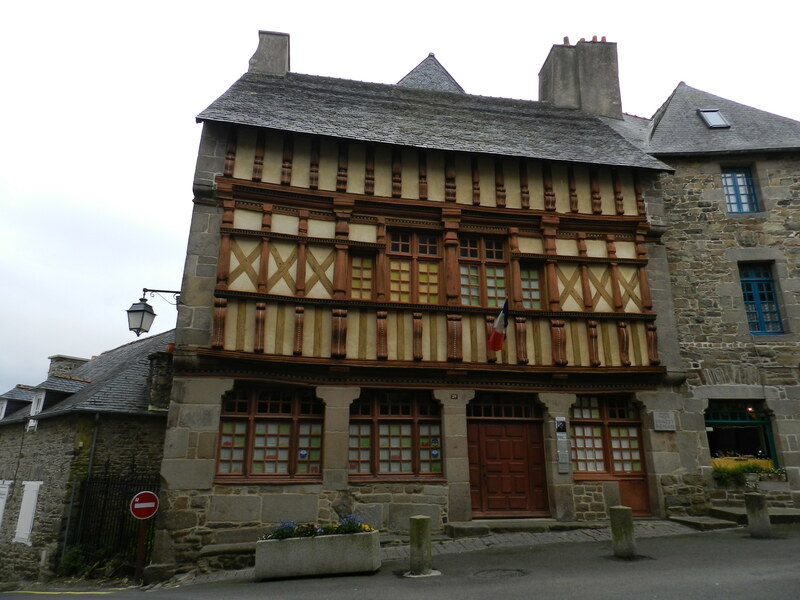 The shops all close around 1800 and the restaurants don’t open until 1900 so guess when we decided to have a walk round. 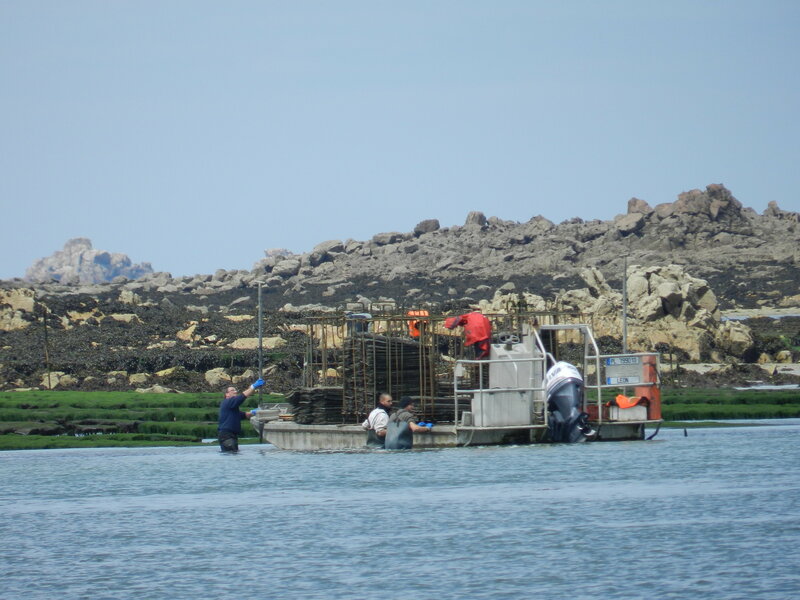 The river is a working river with oyster beds along much of it. They make sure you can’t miss the channel markers! 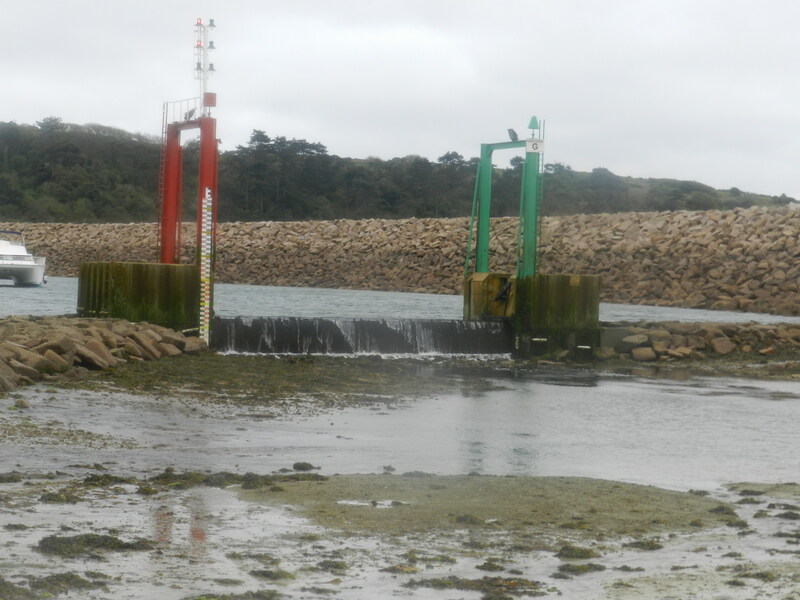 Trebeurden harbour/marina has been fashioned out of rock as it would have dried out between high tides in the past. 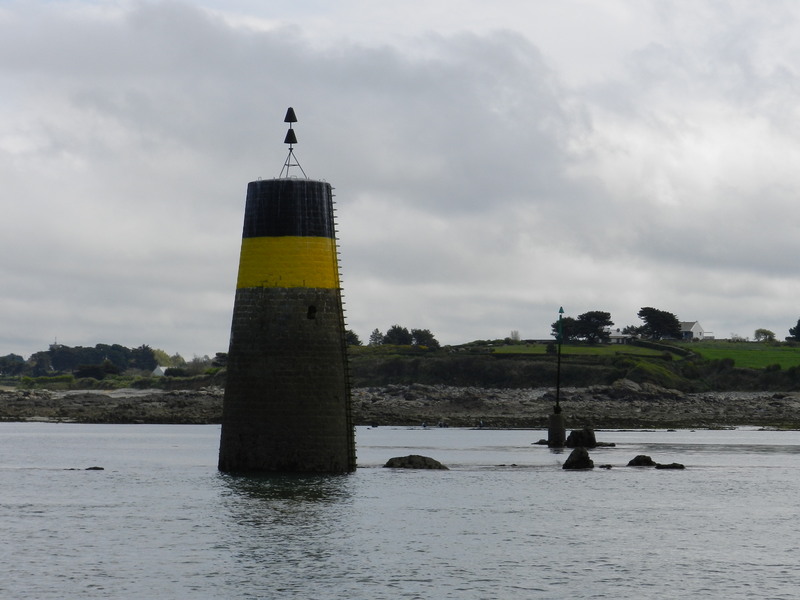 In order to provide adequate depth of water, they have dredged the marina and used the rocks to provide a breakwater and a sill to keep the water from going below 2m. 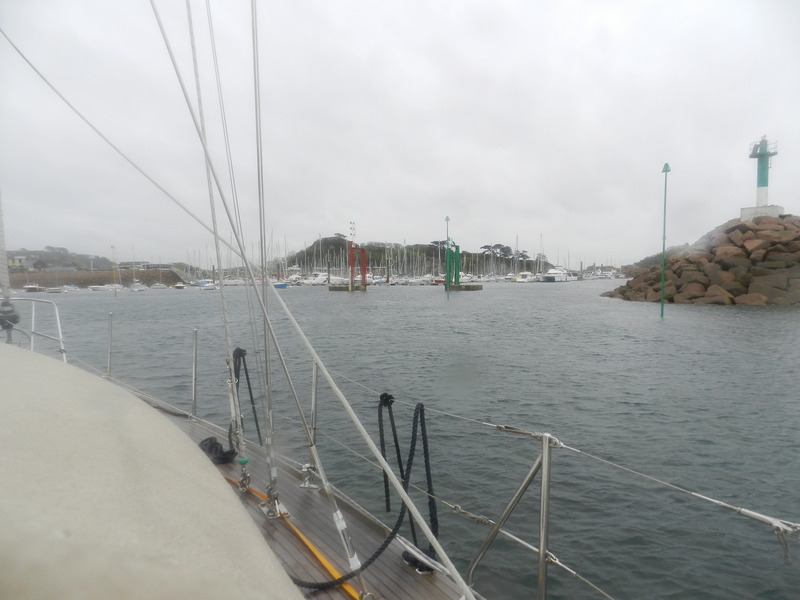 It also dries out between the sea and the marina so timing is of the essence although there are waiting buoys just outside the marina entrance. It is not a cheap place to stay with our 12m yacht costing €37 per night including electricity and Wifi. The Laundromat was also expensive but we decided our sailing clothes would be walking to the washing machine shortly so bit the bullet. Entering Trebeurden with the sill between the red and green dolphins. At high water you can’t see what would happen if you strayed outside of the channel. The town itself is fairly non descript with a number of hotels and restaurants to cater for the many that flock here during the summer for the beach and the scenery. The butcher, however, was not opening until the 15th June!